The bets have been made. The games have been played. The facial hair has been displayed. 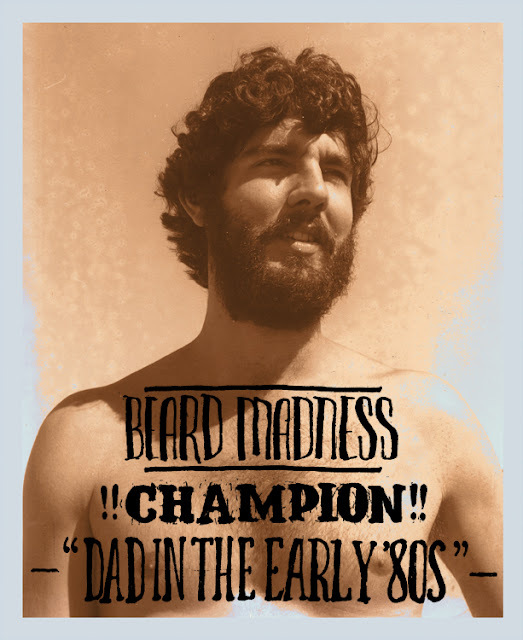 And the Beard Madness champion is...Dad in the Early '80s! It was a riveting tournament, with many hairy moments. Here are some of the highlights. I sketched this comic away from the comfort of my subterranean apartment, working instead at my parents' house in my youngest brother's room. This was a good excuse to draw the objects that litter the living space of a high school freshman: cheap keyboard, out-of-tune ukulele, assorted athletic gear, Skype equipment, and sweet band posters. 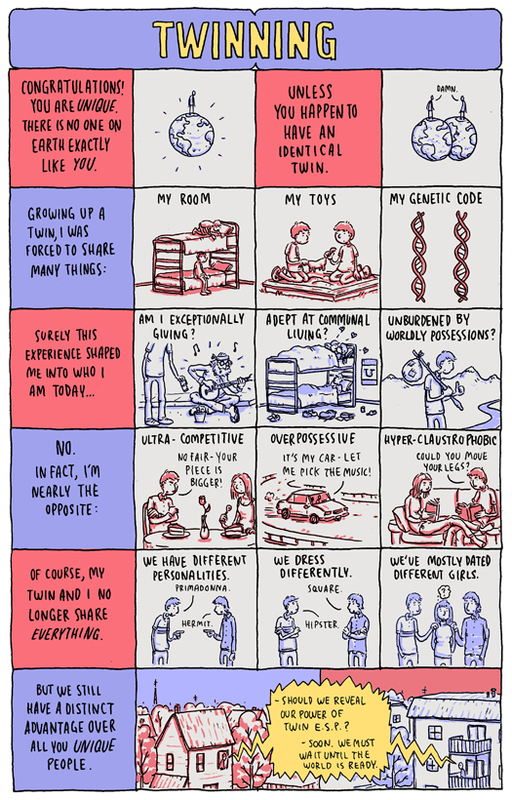 I think the comic captures this environment of disorder - maybe at its own expense. 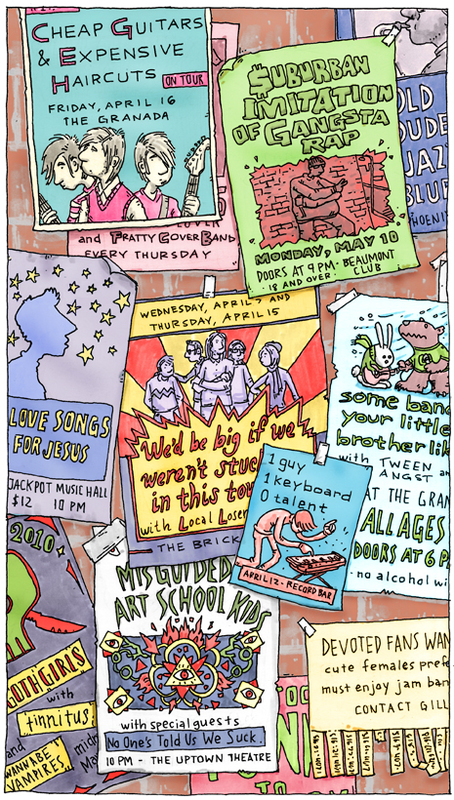 Local shout out: the poster with the flaming orange spectacled head is by Kansas City's storied Vahalla Studios for one of my favorite bands, The Hold Steady. The selection committee has chosen the best beards from this year's highly competitive field. The last four out were Leo Tolstoy, Zach Galifianakis, Ben Bernanke, and the dude from Iron & Wine. 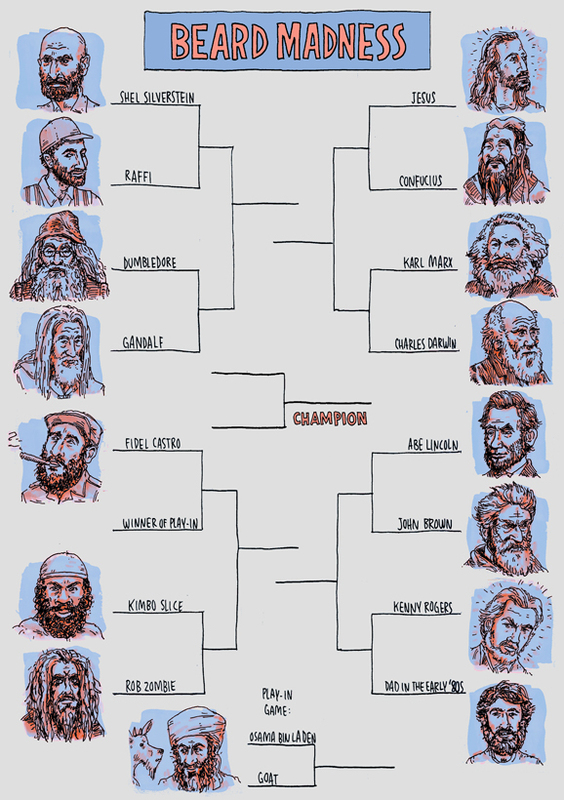 As this blog's resident bracketologist, I forsee some intriguing second-round matchups: Jesus battles Darwin over who has more convincing bumper stickers, Shel Silverstein challenges Dumbledore to see who brings more magic to the hearts of young readers, and Abe Lincoln and Kenny Rogers duke it out for control of The South. 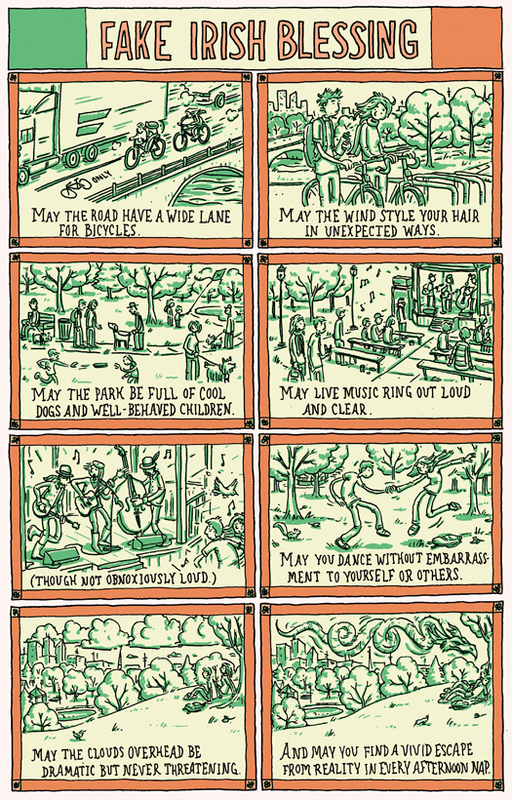 To order as a poster, email gsnider11@gmail.com. More details here. Caution: do not try to attend any of these shows. The venues are real (some of the finest drinking establishments in Kansas City, MO and Lawrence, KS), but the dates are fictional. 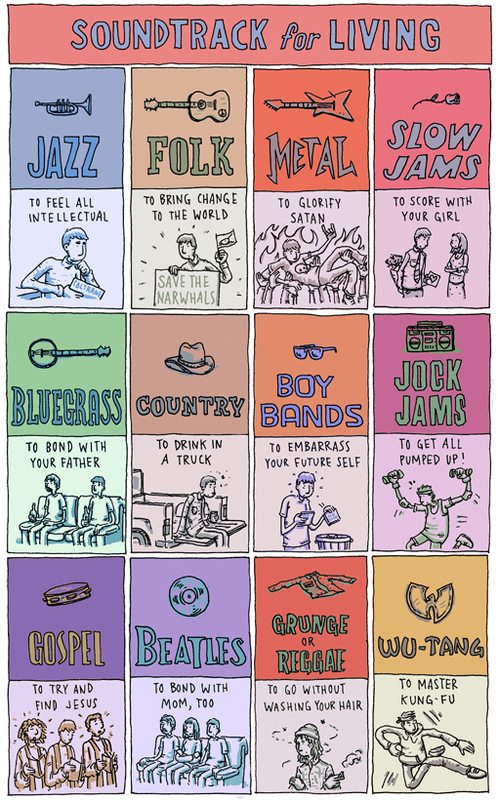 As for the bands, well... I think you may have seen many of them in concert yourself. Want to purchase this as a poster? Details here, or email gsnider11@gmail.com. I will include the actual soundtrack in CD-R form. Tracklist still to-be-determined, but it will likely include John Coltrane, Keith Sweat, The Beatles, and The Wu-Tang Clan.